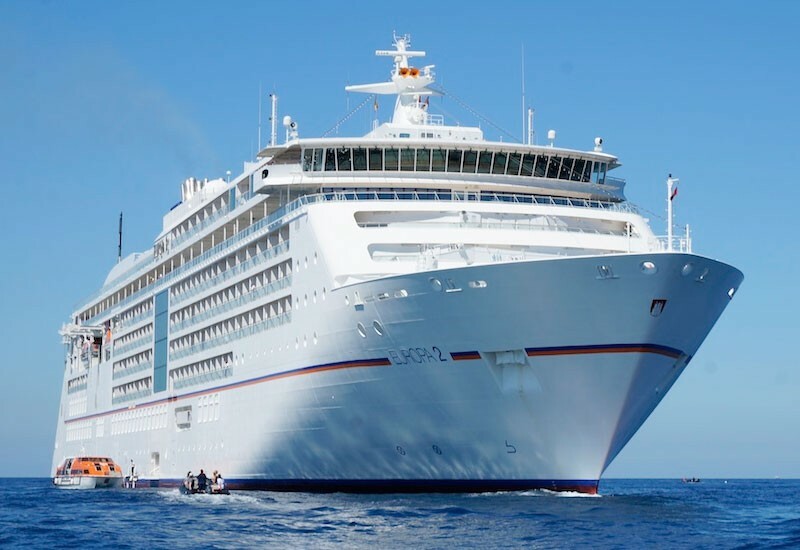 The EUROPA 2 will be waiting to welcome you in the glamorous principality. Visit Port Vauban – one of Europe’s largest marinas with its luxurious style and a promenade where some of the world’s most expensive yachts drop anchor. Take a stroll along the legendary boulevard of La Croisette in Cannes*. Or create your own personal fragrance at the Fragonard perfume house on an excursion to Grasse*. See and be seen – this fishing village attracts the jet-set crowd like a magnet. Spend a relaxed day in the cafes and restaurants, followed by a visit to the little boutiques. Enjoy Italy’s outstanding cuisine with a lunch and olive oil tasting at the Hotel Splendido*. Or if you would like something more active, explore the bay of Portofino by kayak* or with a stand-up paddling trip*. Travel from Livorno to Florence*, the famous capital of Tuscany. Track down Michelangelo and Leonardo da Vinci in the Uffizi Gallery*. Or experience the UNESCO World Heritage Site of Pisa* and visit the Campo dei Miracoli. The elegant bay where many luxury yachts drop anchor is known as the “Corsican St. Tropez” due to its exclusive ambience. Saint-Florent is the ideal starting point for a scenic journey to Cap Corse* and its stunning view of the sea. As the cradle of international high society, this chic town is one of the world’s most famous places. Get to know the old town on a city tour* and experience the small harbour town and its yachts from the water on a boat trip. Or visit two of France’s most beautiful villages: Bormes les Mimosas and Gassin*. See things from a different angle: look down over the famous coastal town as you enjoy a parachute jump* and paragliding*. Smaller, quieter and more pristine than Mallorca – Menorca has plenty of natural beauty to offer. Hike through the biosphere reserve or head for the small Bay of Fornells by kayak*. A horseback ride* through pine forests will take you to the idyllic beach of Cala d’Algaiarens. The EUROPA 2 bids you farewell in the port of Palma.